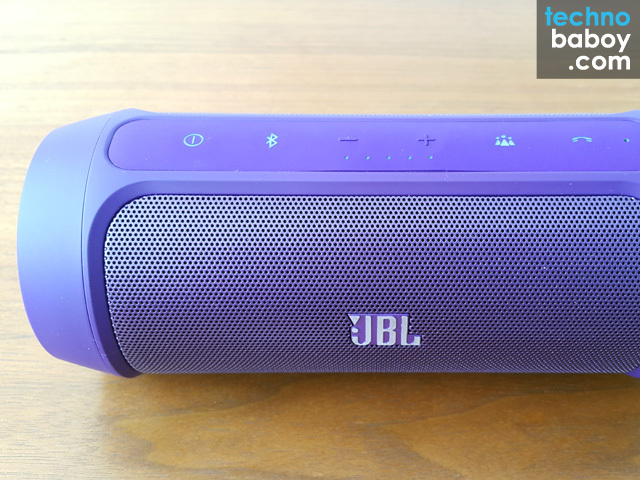 If you’ve ever tried shopping for Bluetooth speakers, then you know that there are a lot to choose from. 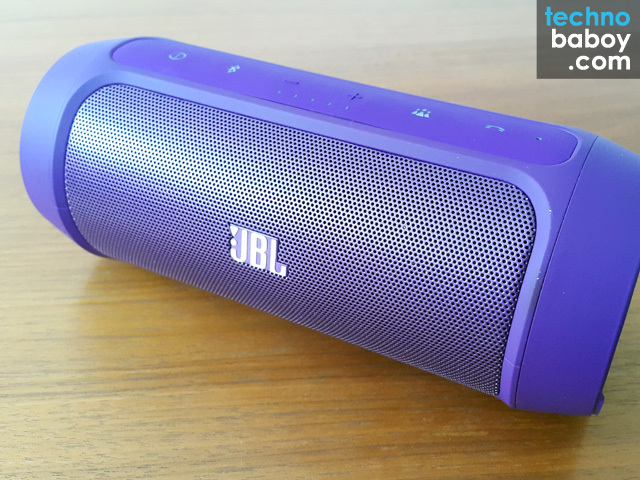 The JBL Charge 2 is yet another to join the fray. And those looking for a good quality pair that has a standout design take a look at what these can offer. The Charge 2 measures in at a rugged 8.4 x 3.9 x 6.5 inches, and weighs in at 2.1 lbs. 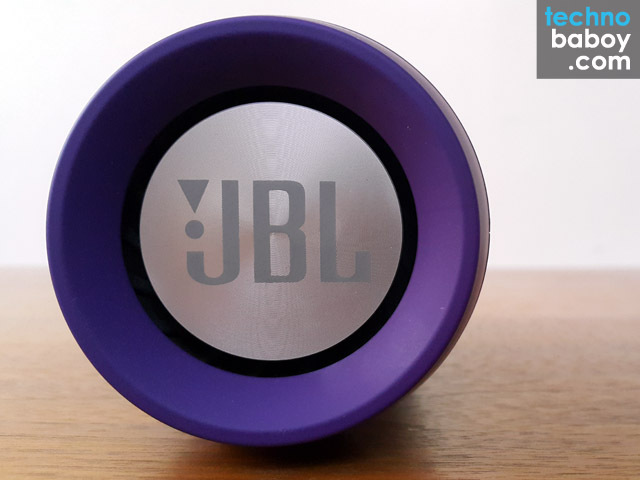 JBL opted for a different design (than what we are used to) and chose a cylindrical shape with two passive radiators at each end. 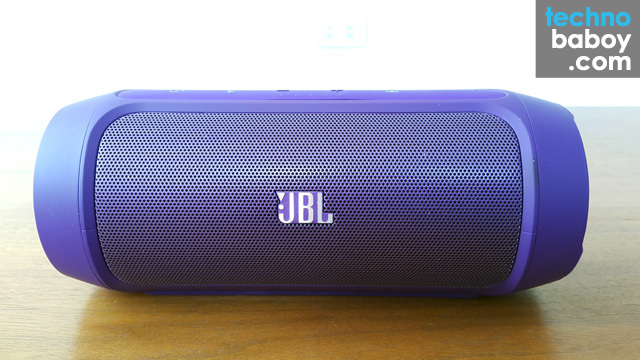 Speaker grills cover both the front and back, with controls on the top panel, protected by a rubber silicone material. At the back, you’ll find the micro USB charging port, the aux in and USB port. The Charge 2 was built to be rugged and durable. It has a very good build quality, and feels very solid. Although I didn’t try it, the speaker looks like it can survive a drop or two. Surprisingly, the Charge 2 sounds pretty good despite the portable size. 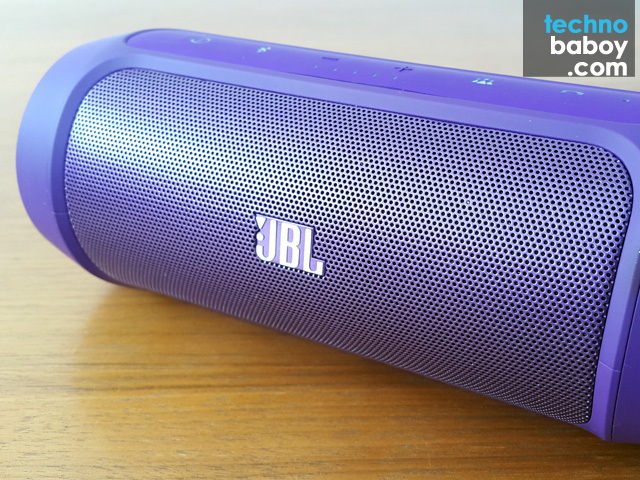 Like most of JBL’s products, the bass was rich and full without overpowering the rest of the song. Sound is clean, and vocals are clear. And volume wise, it has enough power to fill a small room. Just be careful not to crank it at maximum as you’ll notice some distortion at that level. The Charge 2 comes with a huge 6,000 mAh battery with an added ability to charge smartphones. It has an estimated playback of 12 hours. During testing, I got a number close to that. I also found it convenient that I can easily charge a Galaxy Note 4 while music was streaming. 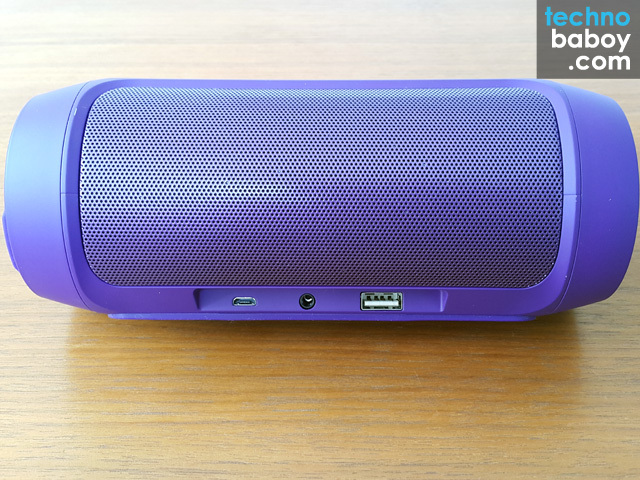 The Charge 2 can also function as a speaker phone. You can answer calls by pressing the phone button on the unit. I found calls to be mostly clear, with no audio problems at the other end. 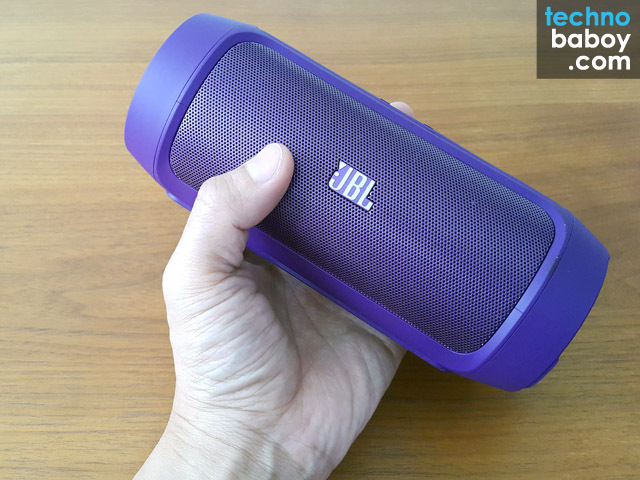 I actually enjoyed using the JBL Charge 2. The standout and rugged design, portability, good audio performance, and impressive battery life gives it an edge among a sea of speakers. The fact that it can also charge other devices is just icing. For more tech-centric news and reviews, please follow us on Facebook (facebook.com/TechnoBaboy) and Twitter (@technobaboy). We’ll do our best to keep you up-to-date.